White-winged gulls were the stars of the show again today. 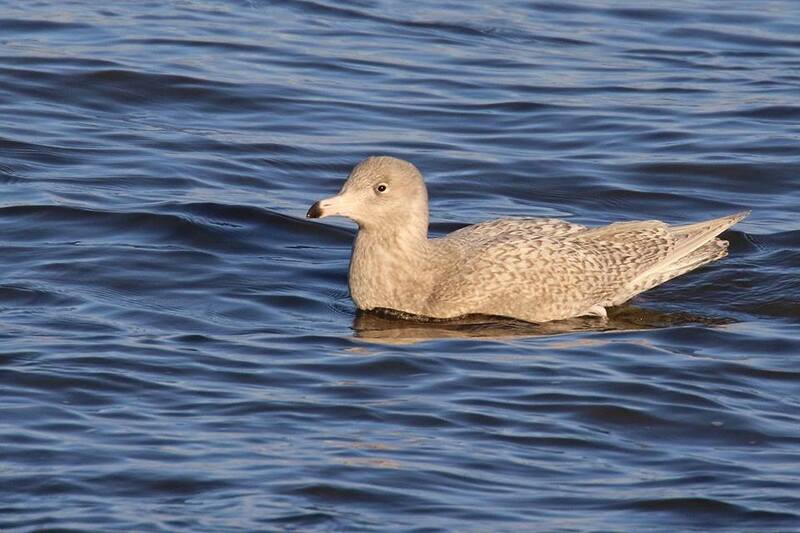 An immature Iceland Gull was at Scalby Mills at 10.30, found by Micky McNaghten and still present until at least 13.30. 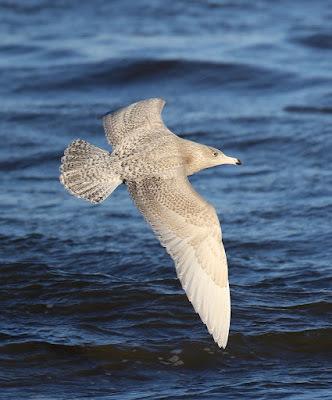 Now the fun begins – how many Glaucous Gulls were there today? 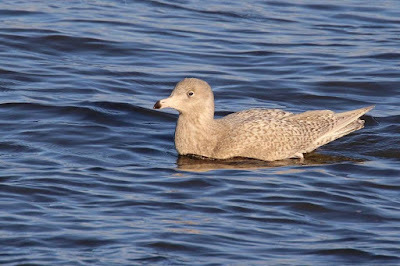 The following are all the records received, 2 juveniles around Scalby Mills and 1 North early on, juvenile South past Long Nab, a juvenile off Scalby Mills then North about 11.30, 3 juveniles North past Cornelian Bay at 10.35, 11.40 and 11.55, an adult North past the Harbour at 13.05 and then past Jackson’s Bay 13.09, a juvenile South off the Harbour similar time to the adult, a 2nd winter North off the Harbour at 14.20, finally another juvenile at Scalby Mills from c14.00 to 14.25 when drifted North round Scalby Nab. This is only a personal opinion but I would suggest a figure of 8 individuals. 4 Puffins were seen heading North off Long Nab this morning, which is unusual in January and a site rarity was a Little Grebe on the sea. The Harbour held on to both Great Northern Divers and both Black-necked Grebes but today they were joined by a couple of Guillemots and a Shag, green FCZ ringed on the Isle of May on 7 June 2016. On the south side of North Bay the 2 Black Redstarts and Stonechat were still in the vicinity of the Albert Drive Café. 19 White-fronted Geese were seen at both Burton Riggs and Seamer Tip pool, 3 Pink-footed Geese with the Greylag Geese along Queen Margaret’s Road and 3 (2♂1♀) Goosanders on The Mere. At Wykeham South Lake Great-crested Grebe, Gadwall, Goldeneye, Pochard and Stonechat were all reported and in Cornelian Bay there were 2 Red-throated Divers, Grey Plover, 3 Ringed Plovers and 21 Purple Sandpipers.